( August 31, 2013, Washington DC, Sri Lanka Guardian) From the beginning, US foreign policy has been predicated on conquest and whatever levels of violence were required to achieve it. Beneath the rhetoric of freedom lies a horrifying legacy of invasions, coups, proxy wars and support for a rogue’s gallery of despots. With all of that, however, the violence and lawlessness of the Bush-Obama years is of a scale few if any of us have ever seen. It is in this context that the state has come down so heavily on Bradley Manning and is determined to do the same to Edward Snowden. With the ruling class here essentially at war with the world, including with the American people, anyone who exposes the workings of empire as Manning and Snowden have is deemed a traitor. Such revelations cannot be tolerated, after all, because the emperors must be free first and foremost to do as they like. Meanwhile, much of the world’s population is aghast at what the United States has become. We can imagine that even in places that have suffered most hideously from US aggression, people can barely believe what they see. Probably never in its history has the United States been so isolated; what may be worse is that there is little dissent among elites as to whether this might not be a good thing. Amidst the hysterical cries of “Traitor,” what Bradley Manning revealed first and foremost were war crimes. Rather than being jailed, tortured and demonized, let alone possibly imprisoned for the rest of his life, he should be thanked for saving many lives - Afghans, Pakistanis and Yemenis who might otherwise have been blown up by US bombs and American soldiers who otherwise would have recklessly been put in harm’s way. Perhaps the only thing more horrifying than revelations like the Collateral Murder video is the fact that such acts, like the My Lai Massacre in Vietnam, are standard operating procedure and not exceptions. Similarly, Edward Snowden revealed the extent to which the US empire regards the rest of the world as enemies who must be monitored at all times. One of the most telling moments of Manning’s show trial was when the prosecution referred to WikiLeaks and, by inference, Manning and Snowden, as “an intelligence agency for the public.” As they are and, given the state of things, as they should be; and for that we should all be grateful. Despite elite vilification of Manning and Snowden, important fissures between the rulers and the ruled have become apparent. We see, for example, that a majority of Americans believe the National Security Agency should be reined in big-time. We see as well serious outrage in both parties in both houses of Congress at how extensive the surveillance state has become. 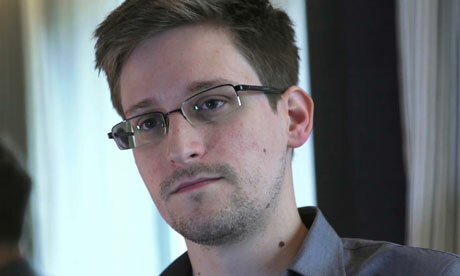 No such outrage or calls for drastic changes would be happening were it not for Snowden. Manning and Snowden have been compared to Daniel Ellsberg, the man who, in 1971, revealed secret documents about the US war in Indochina. Though the Pentagon Papers undoubtedly increased the already massive public opposition to the war, that was arguably not Ellsberg’s most important achievement. Perhaps more significant was the revelation of large-scale lying about the war. That Kennedy, McNamara, Johnson and Westmoreland (and later Nixon and Kissinger) had known that the war was essentially unwinnable short of nuclear weapons, even as they rained terror down on three countries (“Kill everything that moves”) and sent tens of thousand of Americans to senseless deaths, was almost as terrible a truth as the real nature of the war itself. One result of the Pentagon Papers is that millions of Americans assume that those in charge regularly lie. And for good reason, for at the same time, for example, that Jimmy Carter spoke piously of human rights, he was making possible Indonesian terror against East Timor; that when Ronald Reagan was rhapsodizing about what a great guy Efrain Rios Montt was, he was arming, funding and covering up Montt’s murderous campaign against Guatemalan civilians; that when Colin Powell and the rest of the Bush II gang cited weapons of mass destruction to justify an illegal invasion that has claimed more than a million Iraqi lives, they had documentary evidence in their possession that proved no such weapons existed. As recently as last month, Secretary of State John Kerry declared that there “is no military solution in Syria” even as the US supplies arms to those fighting the Assad regime, many of whom are alleged to be linked to al-Qaeda. And would anyone be the least bit surprised if the recent terror alert was concocted to undermine the popular uproar over Manning and Snowden’s revelations? Implicitly, Manning and Snowden, like Ellsberg, also put the disgraceful role of the corporate media in the public eye. Reporters, editors and publishers have often been privy to US war crimes that they keep secret because of their enthusiasm for empire, then howl with outrage when such crimes are revealed – not at the crimes or criminals but at those who unmask them. Manning and Snowden carry forward the great tradition of David Walker, Debs, Thoreau, Emma Goldman, Diane Nash, Cesar Chavez, Reverend King, the Berrigans and all those who have defied illegitimate authority at great risk to themselves. The question now is whether the rest of us shall follow their lead or instead be like Good Germans and pretend not to see the evil that surrounds us. The ruling class’s ability to terrorize whoever they want wherever they want whenever they want without having to answer or be accountable to anyone is the crux of empire. Increased levels of resistance, especially of soldiers like Manning, is the only antidote. Andy Piascik is a long-time activist and award-winning author who for Z Magazine, The Indypendent and many other publications and websites. He can be reached at andypiascik@yahoo.com.